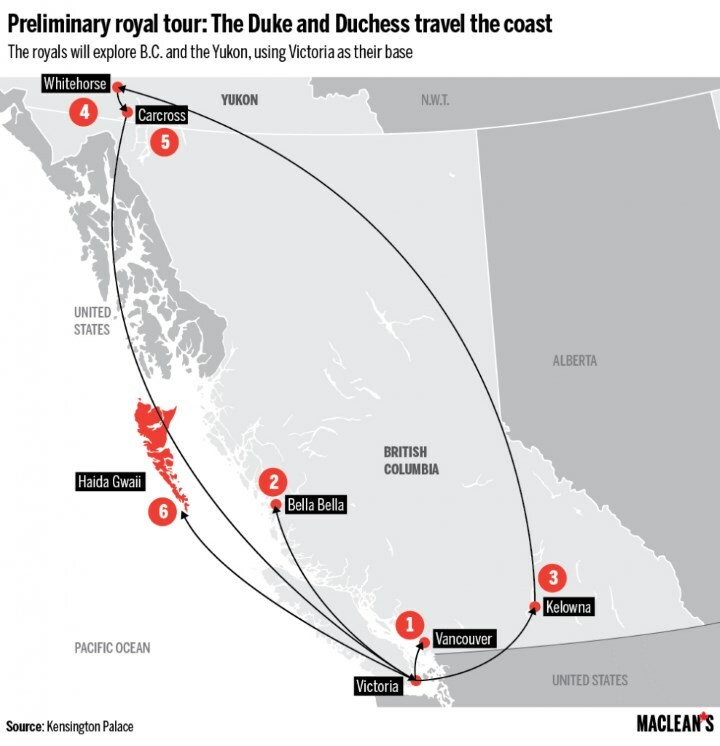 Duchess Kate: The Unique Beauty & Rugged Wilderness of Canada's West Coast: Tour Schedule Revealed! The Unique Beauty & Rugged Wilderness of Canada's West Coast: Tour Schedule Revealed! 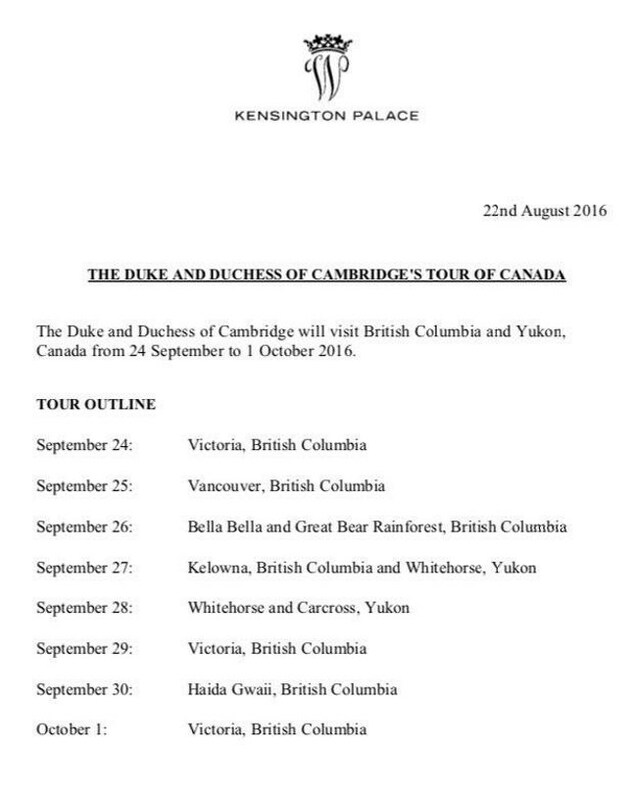 Kensington Palace has released the Cambridges' tour schedule for their week-long visit to Canada next month. William and Kate, who are expected to take George and Charlotte, will touch down in Victoria, British Columbia, on 24 September with the tour reaching its conclusion a week later on 1 October. An outline of the locations the Cambridges will be visiting. 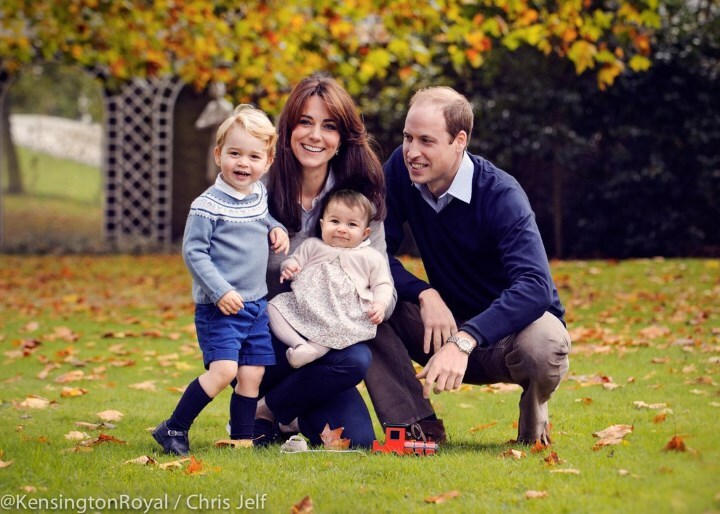 'William and Kate, who are expected to bring along their children, Prince George, three, and one-year-old Princess Charlotte, will travel to Bella Bella in British Columbia – home to the Heiltsuk people – as part of the week-long tour to the British realm. 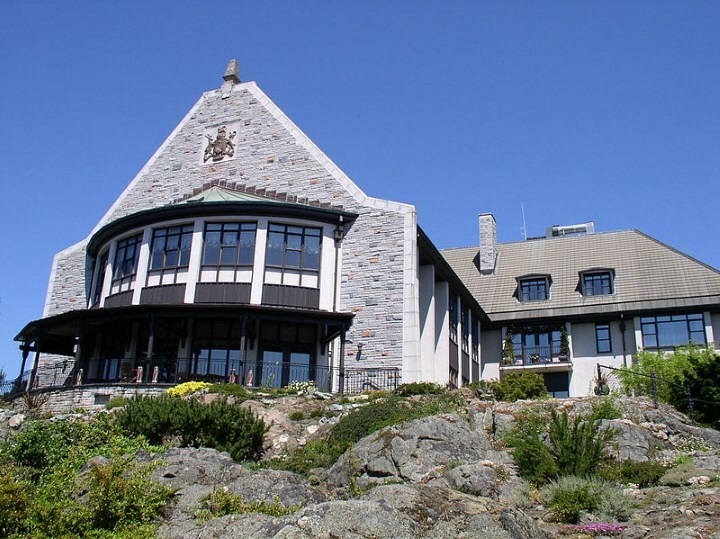 Victoria's government house will likely serve as a base for much of the trip allowing the family privacy. Maclean's shared this insightful map with each of the locations. 'The unique beauty of Canada’s West Coast and the rugged wildness of the North will be front and centre during the Duke and Duchess of Cambridge’s second official Royal Tour to Canada. The Honourable Mélanie Joly, Minister of Canadian Heritage, today announced Their Royal Highnesses will visit five communities in British Columbia—Victoria, Vancouver, Haida Gwaii, Bella Bella, and Kelowna—and two communities in Yukon—Whitehorse and Carcross. An official welcome to Canada and British Columbia will be held on 24 September in Victoria. The official welcome will include protocol elements, such as an Honour Guard review and speeches. 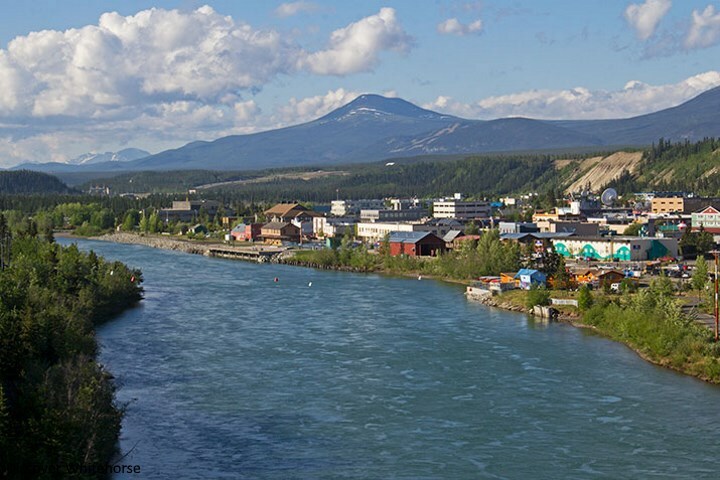 A lively public celebration, where Their Royal Highnesses will meet representatives of Yukon communities, will be held on 28 September in Whitehorse. This will be the third official visit to Canada for the Duke of Cambridge and the second for the Duke and Duchess of Cambridge as a couple. 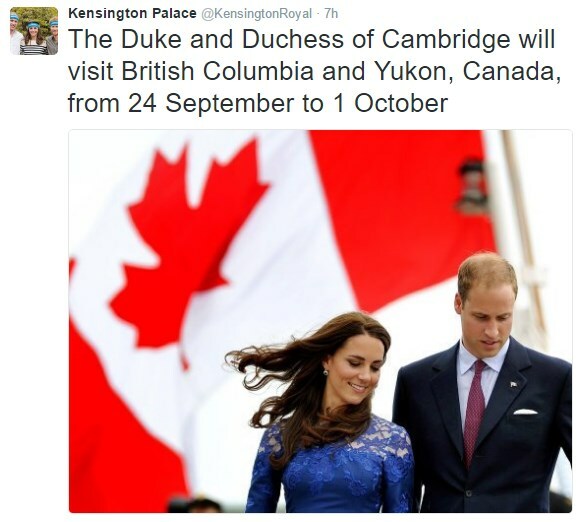 This will be the first time William has toured Yukon and British Columbia in an official capacity. He visited British Columbia once before on a private/working visit in 1998, where he, Charles and Harry went on a skiing vacation at Whistler. Diana had only passed away months before, so I imagine the media attention was enormously intense at the time. Undoubtedly this will be prove a much happier visit for the future king. During the 2011 Canada tour William promised to return and it promises to be an extra special tour with the children there. It will be wonderful to see the foursome together at airport/arrival departures and a couple of select engagements. It's also going to be a real introduction to one-year-old Charlotte's personality; we've seen big brother George on official engagements, and of course the Australia/New Zealand tour, but this will be an excellent opportunity to see the royal siblings together. "As celebrations for the 150th anniversary of Confederation draw ever closer, we are delighted to welcome Their Royal Highnesses the Duke and Duchess of Cambridge on their second Royal Tour to Canada. During this tour, Their Royal Highnesses will shine a light on the dedication and service of many Canadians who are doing important work in our Northern and West Coast communities." What kind of tour can we expect? William and Kate adore the outdoors and it looks like there's going to be ample opportunity to explore the fantastic sights Canada's scenic west coast has to offer. 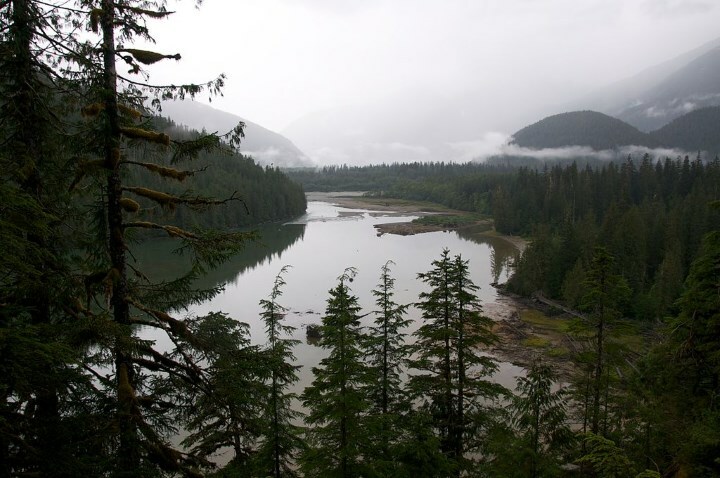 One such location is Bella Bella, a Heiltsuk reserve. The Great Bear Forest visit should offer stunning, scenic photos. The forest is known as the 'Amazon of the North' and stretches for more than 250 miles along the Pacific coast of British Columbia. 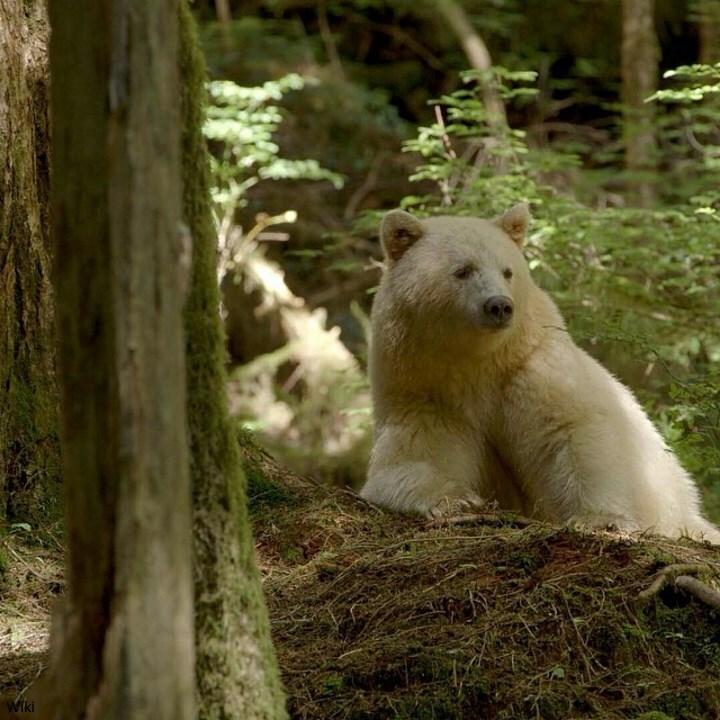 It is home to the rare, Kermode bear which is deemed to be sacred by the T'simshian people. Also known as the Spirit Bear, it is a sub-species of black bear with white fur. Wouldn't it be incredible for William and Kate to see one of these bears? 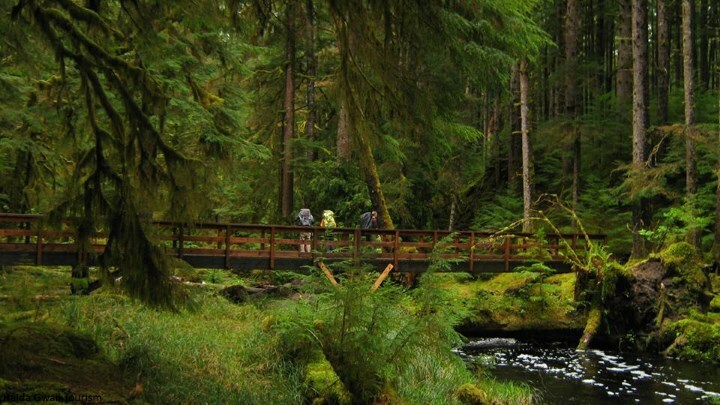 The temperate rain forest is one of the largest remaining tracts of unspoiled temperate rainforest left in the world. The area is also home to species such as cougar, wolf, salmon and grizzly bear. It was officially recognized by the Government of British Columbia in February 2016, when it announced an agreement to permanently protect 85% of the old-growth forested area from industrial logging. 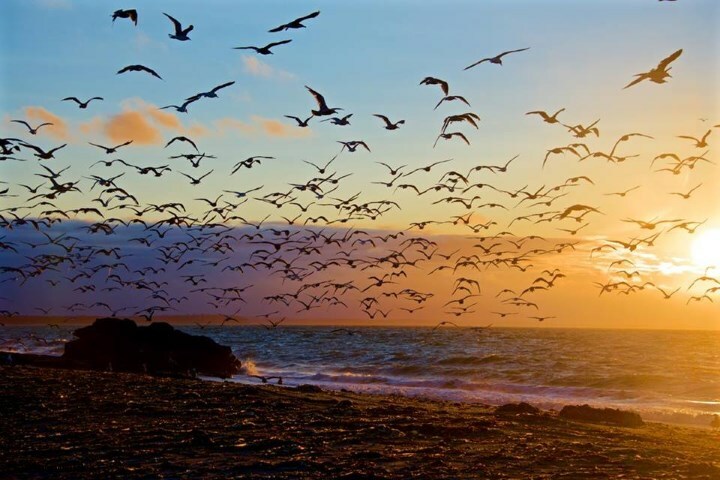 They will also journey to Haida Gwaii, formerly known as the Queen Charlotte Islands and the Charlottes, an archipelago on the North Coast of British Columbia. Approximately half of the population is made up of the Haida people. Chosen as one of National Geographic's '20 Best Trips 2015' thanks to its serenity and cultural richness, it promises breathtaking scenery. Aside from exploring the outdoors, it is understood the royal couple will carry out engagements with young people and there will be a focus on mental health. They will also meet with First Nations communities in order to highlight conservation and cultural issue. Other engagements in the fields of agriculture, education and the emergency services will be announced with the full itinerary. They will also spend time with Prime Minister Justin Trudeau and his family. Kensington Palace said the couple are "hugely excited". Looking at images of the places William and Kate will be visiting it seems apt to describe the tour as a picture-perfect trip. 'The royal tour will will also involve a lot of travelling. The trip on Sept. 27, from Victoria to Kelowna and then onto Whitehorse is around 1,800 km. 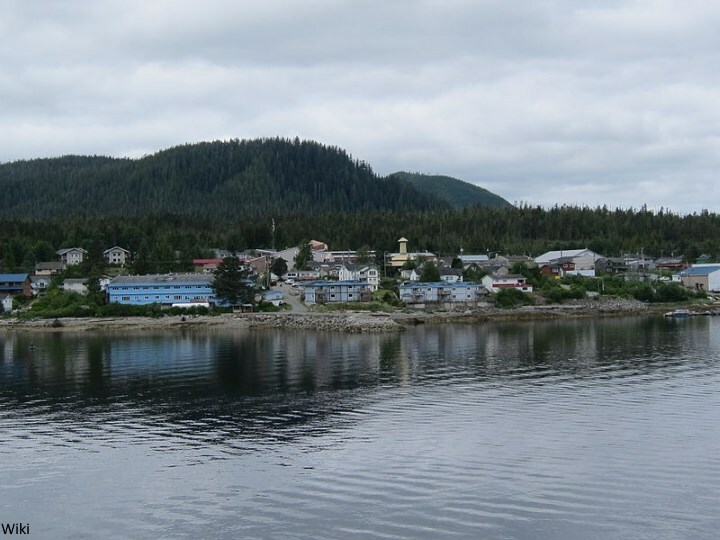 The first big trip, on Sept. 26 is a a mere 550-km one-way jaunt up the West Coast to Bella Bella, population 1,500. Home to Heiltsuk First Nation and the Great Bear Rainforest. It isn’t just that it’s a massive stretch of old-growth temperate rainforest, but also that its waters are treasures themselves in terms of its complex marine biodiversity. 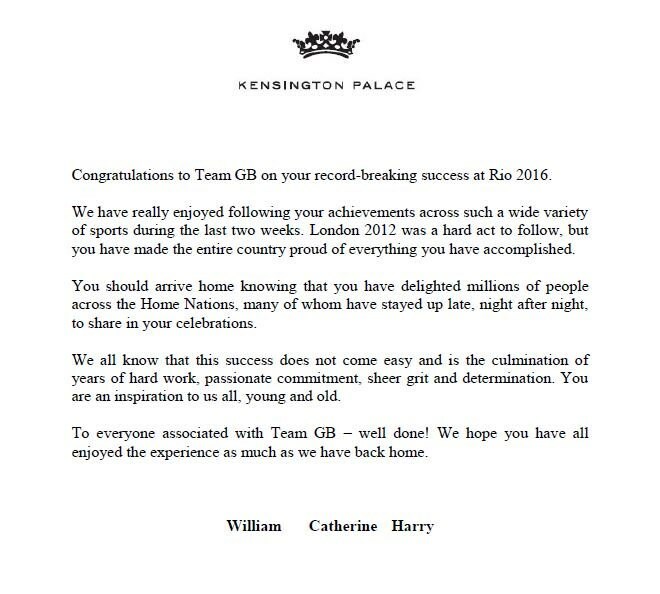 Kensington Palace also released a message of congratulations to Team GB who achieved incredible success during the Rio Games. It's an amazing accomplishment to see the team taking home 27 gold, 23 silver and 17 bronze medals. They were second in the table, only behind the USA - truly an outstanding achievement. I expect the young royals will formally congratulate the athletes at a later date, most likely at a reception Her Majesty is said to be hosting in October. We'll see the Duchess on Wednesday for engagements in Luton and bring you the dream looks feature post towards the end of the week (I had intended it for today, but with the tour news we'll wait until then). So excited for the tour can't wait!! Thank you for a new post Charlotte!! I'm getting very excited for the tour. I also love that it won't be too much a time difference for me. I really hope the kids do go! It annoys me that some post like the Daily Mail are saying in their headlines that the kids are going but when you read the article it says its not confirmed yet. They are just trying to get clicks, IMO. I wasn't following Kate for the 1st tour, so I can't wait to follow them for this one! I visited some of these locations while on an Alaskan cruise a few years ago. Victoria was a very "British" city, and Carcross and the Yukon are just beautiful! Can't wait to see and read about their visit! I am so looking forward to their Canadian Tour. It should be visually spectacular, with Canada as the backdrop. It will be fun to see the family together for part of it, and of course it goes without saying we all will be anxious to see Kate's wardrobe. Congratulations to all the magnificent athletes who participated in the Rio Olympics. It was such fun to watch. Proud Canadian from the east coast of Nova Scotia, I've been to most destinations in their itinerary, and they are in for a stunning visit and I look forward to following them on their journey! I recently visited your own area, Sandy, and it is lovely, too. I especially enjoyed a brief stay at Keltic Lodge, and a drive along the Cabot Trail. And there are other very interesting places to visit. I also was at the Keltic Lodge and drove the Cabot Trail this summer. Also spent sometime in Halifax. Really enjoyed it. My first time in Nova Scotia and as a Canadian was very proud of this part of our country. Ready for some doses of Cambridges. And hopefully some kid cuteness!! Im so exited!! This is my home and back yard. Really hoping I can see them and so happy they and the world will see our beautiful Province and Island. This time last year we spent a week sea kayaking out of Kitimat and down through the Great Bear Rainforest, relatively near to Bella Bella. It was stunning. We spent DAYS paddling next to a pod of humpback whales, and experience was as serene and overwhelming as you might imagine. They should absolutely be bringing their rain gear, because it WILL rain. The Royal Family is doing a good job cheerleading Great Britain, but they really are struggling to maintain their relevance to their former colonies. I say this with full understanding of their constitutional role in my country's governance. But making a real connection with our First Nations, expressing respect, giving them a platform to tell their stories and supporting their connection to land, language and culture would be enormously helpful to all of us. Sophie and Edward have made at least one unpublicized visit to a reserve, making that connection, but there needs to be more. I'm sure our Australian friends could use the same leadership too. It's hard stuff, but frankly they need to do more than visit a few hospitals and cheer on "Team GB" at the Olympics. I think the Queen has always had an extra love in her heart for Canada. William and Kate seem to also. It was their honeymoon era tour so that helps make it more special to them. Kate's paternal grandfather, Peter, trained pilots in Canada during WWII. The Queen happens to personally own quite A LOT of property in Canada also. That might be an additional incentive for both the Queen and William to want to visit frequently. I heard that the Queen has visited Canada 22 times and that she has been to every province and territory. I will be SO disappointed if George and Charlotte aren't on this tour. Thanks for this post! I'm really looking forward to the tour and hope they take time to touch on sensitive issues to indigenous peoples. Knowing their track record, I think it's quite possible! Can't wait to see the kids as well. Wow! This is a very impressive schedule. I live in Alberta, Canada and the schedule that has been planned for the Duke and Duchess is extremely intense! I admire their apparent desire to cover as much geographic ground as possible. Especially if the Prince and Princess accompany them; even if the children are based in Victoria, these are still far distances to travel for the royal couple! We are so thrilled to be able to share our country with the royal family! They are certainly headed for sights and nature that will fill their love for the great outdoors! Thank you for your information-packed posts, Charlotte!! You never disappoint!! This will be a truly beautiful trip to one of the world's greatest scenic areas. The Queen has visited the Haida people, opened a new garden at Government House in Victoria, enjoyed the opening of the Commonwealth Games there. She also met with the First Nations leaders from all over Canada, in Alberta. Probably the Cambridges have enjoyed her advice, and no doubt that of the Wessexes who also have visited western Canada several times. I hope it will soon be confirmed that George and Charlotte are to go along. My parents visited Vancouver 6 years ago and they fell in love with the city. I would love to go there one day and I can't wait to see all the beautiful photos to come from their time in the city! I live an hour from Kelowna and I couldn't be more excited!! Take pictures if you see them please Tamara. Mega excited for the tour! looking forward to the royal tour 2016 its going to be exacting for us are you going to live feed as we do.. I visited Victoria/Vancouver Island just a week ago and wondered whether it would be part of the itinerary. If I thought I had any chance of seeing TRH I would go back! I'm close enough that I actually could, but I doubt I'd be able to get anywhere close. I'm so looking forward to seeing the entire family! Charlotte they are going to the best spots in my home province! I can't wait to see them in Vancouver! Seeing the spirit bear coverage will be amazing and I know the duchess and duke will love to see these amazing spirit white black bears in the great bear rainforest! I will also try to see them in Victoria and by the way Carcross is a great amazing place in Yukon I was there last year I know they will love the great white north! 2011? Remember William helping Kate with the drawstrings? Yes! Now, George and Charlotte need their own Mounty "hoodies", too! lol, YES, they do, Sue T. How cute would that be? Government House in Victoria as their home base makes a lot of sense! I mean it was built for that purpose clearly but it's a beautiful property. A friend of the family was a gardener there for more than 20 years - the gardens are amazing and the grounds are very private despite being in the heart of Victoria. Nice to know em. Thanks for sharing. The children can maybe play in the yard then. Cannot wait for the tour to start. It looks breathtaking and I am sure it will be most memorable! And isn't that white bear the cutest thing ever, I think Canada just leapfrogged a few spots on my dream vacation list! I was thinking the same thing -- it sure does look like the Capilano Suspension Bridge! We live on our boat in Seattle during the summer & although we leave Sept 15th, I'll b coming right back up to see the Cambridges! I cannot wait! I plan to be in Victoria (incidentally, where I was married 3 yrs ago!) on the 24th then travel to Vancouver on the 25th to see them there. Any advice on where exactly to spot them would be appreciated! How exciting! Christine, like you I have been able to experience quite a few of those locations - even though I'm located in San Jose, CA - as well. To all of you British Columbia Canadians, it is such a beautiful location. I have spent a week in the Queen Charlotte islands on a boat (where the salmons, shrimp and oysters are in abundance), eagles soar and you can spot a bear here or there roaming. We also hiked to a natural hot spring which was amazing. Visited Victoria and the beautiful Butchart Gardens and played golf in Okanagan Valley. The lake and mountains make it so majestic. And yes, I believe - not sure who said it - it's going to rain. Can't wait! Not a big deal if we do. Some like that look. I am sure we get skinnies but I second you Anon 20.37. My memory is that when she had access to the Queen's Flight (I think it was called), the Queen flew home from Yukon after a visit to the west coast of Canada. Much more efficient than this giant egg shaped journey! That is an extremely long flight, the jet lag will wreak havoc with the children's sleep schedules. And the adults too, for that matter. There are lots of techniques for helping with the jet lag. London to the West Coast of Canada is very doable. They will adjust pretty quickly both directions, plus I an sure they also have the luxury of first class travel and quick processing at the airports. Should be a wonderful trip. Thanks for the positive input 0558. Thanks for highlighting the facts that first class flight with plenty of help from their accompanying team and quick processing at the airports will help very much. Last time they visited Canada, Prime Minister Harper made his privet plane available to them. It picked them up in Britain. Maybe Prime Minister Trudeau will do the same. I don't see how traveling first class and quick airport transfer negates the fact that you are traveling east to west across 8 time zones. It causes you to wake up and be wide awake around 4 am, which could temporarily disrupt the children who tend to be on sleep schedules. A lovely itinerary for the tour - British Columbia is extraordinarily rich in natural scenery - and the Yukon should be fascinating. Kate is recycling at home as usual - it's lovely to see the new clothes come out on tour but the British engagements so often do seem to be second best in that way, unless it's something with the queen. Kate's not one to bring out the good china for family. Bur it's a great dress and looks like an important engagement so far - so that's mostly what counts. 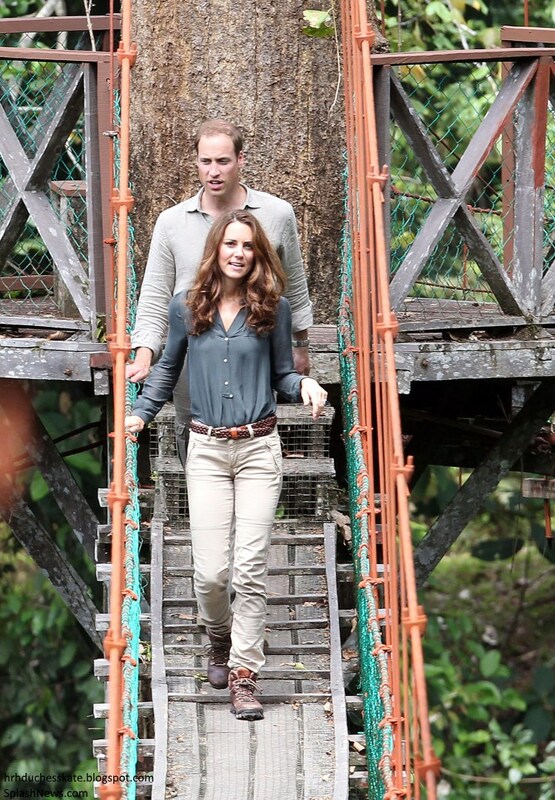 I don't like William's outfit much either a muddle of brown and blue and textures but I'm old-fashioned. I liked the suit he wore in Germany - it was nice to see him there and he looked very handsome. I'm sorry, but I just don't see the point of them visiting Canada for only a week. Looking at their itinerary, it seems like they are going to be spending most of their time traveling from place to place, and very little time actually engaging with Canadians. It also seems odd that they're ignoring all of Eastern Canada, especially Quebec, where of course the Monarchy is controversial - it would be nice if they made an effort to engage with that part of Canada. As a Canadian living in the UK, I'm very confused as to what the purpose of such a short trip to Canada is? Seems like a waste of money to me. Five years ago they visited Quebec and eastern Canada. Take a look at that itinerary. Remember this visit is at the request of the Canadian government. It's not as if Will and Kate suddenly said, oh lets visit Canada again! There will be multiple trips to Canada for this couple in the future and all will be to different areas of the country. Royal tours, I believe will become shorter and shorter, as the longer they are the more expensive they become. They are going there at the request of the Canadian government. It was coordinated between governments, not William and Kate sitting in front of the television, tablet in in hand and going humm where do we want to go? They visited Quebec for a total of 30 minutes last time, when they took the cookery course in Montreal (which was odd in itself since Montreal isn't a particularly foodie city - I grew up there) This was widely reported in the French Canadian media. I get that there were protesters in Montreal at the time of their visit and they probably had to cut it short for security reasons, but they can't keep ignoring that part of Canada, especially at a time when many Canadians, in particular French Canadians, are anti-monarchy. I just don't see what all Canadians are getting out of this visit. It's too short for such a big country. Brina you should maybe check your facts. In Montreal they went to a hospital and the cooking classes. They then went on to Quebec City and were at a drop in centre for street youth. Then there was a Freedom of the City ceremony at Quebec city hall where William gave a speech in French. They then attended another public event in Levis Quebec. Hardly thirty minutes and the protesters were minimal and caused no disruption. Anonymous 18:21, it's been reported that they don't want to travel away for long periods of time while the children are so young. I am sure they asked for this visit to be short. I can respect this, but they probably should put the traveling on hold until the children are older. A one week tour to Canada just seems like such a waste to me. Brina 21:53, MOST royal tours are not as long as they used to be. Travel is quicker and easier, security may be an issue, expense is a different consideration....etc. It isn't just a question of W&K having young children. And if they DID hold off on it, as you suggest, would you give them a pass for it?? I understand your point Brina. Canada is geographically so big and there are so many great and beautiful parts of our country that a week is just the tip of the iceberg. But I think that is exactly why they are doing this in small pieces. This trip is all about BC. The next one might just be the maritimes ...for example. It seems like a lot of travel but they will fly to all these places and I don't think any of them are anymore than 1.5 hrs away from Victoria. So very doable as day trips. To reiterate, their schedule is too ambitious - they are going to spend most of their time traveling, and not enough time actually interacting with Canadians. So what is the point of this visit? I understand they can't visit the whole country, but why not just stick to a city or two? Also, there's no excuse not to visit Quebec. They will be traveling over Montreal to fly back to the UK. It would have been easy to stop in Montreal overnight and give a couple of interviews (in French of course. I believe it was mentioned here that they are both fluent in French) - the airport is close to the downtown area. They really are going to have to start endearing themselves to the French Canadian population. I'm not French Canadian myself, but even I'm disgusted by how often Quebecers are snubbed by the Royal Family. Did you miss their previous trip to eastern Canada? The Queen's visits to Quebec are extremely brief, for security reasons. Given the size of Canada, concentrated trips seem advisable, though even then the trips are indeed long. But the days of royals crossing Canada for weeks by train are long gone! Maybe, but then why not spend a week visiting just one or two towns and do lots of meaningful things - visit charities, meet with politicians, visit with sick children, etc. Looking at their schedule, it just looks like a lot of traveling from place to place with no real purpose.Most of their time will be taken up by the traveling from place to place. The days of Canadians crossing Canada by train are pretty well gone--too expensive!!! Anonymous 21:35: That really shocked me. The French Canadian media did not cover this at all. I'm guessing they have a long way to go before they are accepted in the french part of Canada. As future Heads of State, both Prince Charles and the Duke need to make it their mission to be more popular there. I don't think visiting every few years is going to cut it I'm afraid. Tatler's selection can get a better lesson from participants of this blog. They want her to look much older than she is. The few posted there, may be more inside?